While I love the colonial and early American history found in Winchester, Virginia, I learned about this town through Civil War studies. The first time I remember reading about Winchester was in a children’s biography of “Stonewall” Jackson, and in later years, I started researching about families in the town and that general’s time in the area. Winchester, Virginia is about 75 miles west of Washington D.C. and not too far from Shenandoah Valley National Park’s entrance at Front Royal. Stonewall Jackson’s Headquarters is located in Winchester, north and a couple streets west of the pedestrian walking mall at the heart of the downtown historic district. It might be easiest to search the address on a map or GPS system if you’re arriving in town and starting here. 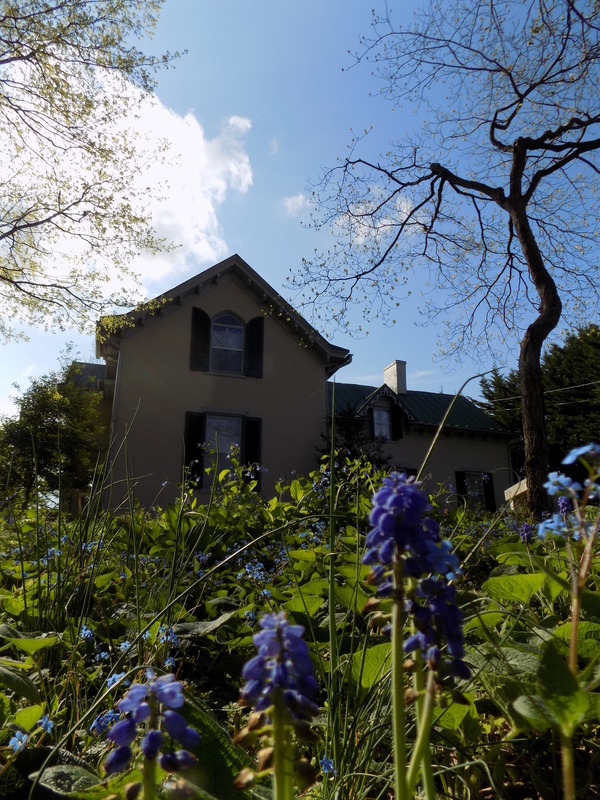 If you’ve been in the old town district or at George Washington’s Office Museum, then the Headquarters is just a walk away. If you’re at the Office Museum or the parking garage on Braddock Street, just head north on Braddock and the house will be a little beyond the Handley Library, on the left. Signs should guide you to the location. Did I mention…I love this little garden? You’ll get to go on a guided tour of the house. Just ring the bell or knock on the side door during the open hours to be greeted by a docent who will happily take you inside and get your tour tickets before taking you on a full tour of the furnished building. If you intend to visit other historic museums in Winchester, consider purchasing the combination ticket offered by the historical society which offers access to all three of their historic sites at a slight discount. Don’t forget the explore the garden around the house. It’s a nice place to rest or take photographs. Don’t take photographs inside! But take as many as you wish outside. Lewis T. Moore purchased this home in 1856. When the Civil War started in 1861, Moore – a bachelor – became major in the 33rd Virginia Infantry, then lieutenant colonel of the 4th Virginia Infantry Regiment. Badly wounded in the knee at the Battle of First Bull Run in 1861, Moore tried to recuperate. 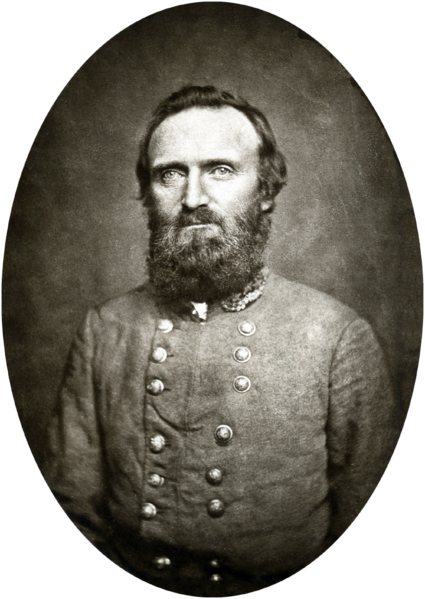 In the autumn of 1861, General Thomas J. Jackson who had gained the nickname “Stonewall” at that first battle transferred to defend the Shenandoah Valley. After spending a couple days trying to make headquarters at the Taylor Hotel in the middle of Winchester, Jackson sent staff officers to find a more suitable and more secluded location where the well-meaning ladies could not find him and send numerous invitation to dinners and parties. About that time, Moore offered to give up his cottage home, and Jackson quickly accepted and made his headquarters there. As soon as Jackson got settled at the Moore house, he started making winter plans for campaigns and for Mrs. Jackson to spend the winter. Some of his letters gave detailed descriptions of the cottage and proved very helpful to later researchers and preservationists. In March 1862 with Union armies advancing, Jackson angrily submitted to the verdict of his officers in a council of war: to abandon Winchester. Leaving behind the comforts and winter memories of headquarter days at the Moore House, Stonewall retreated south and into the beginning of his Valley Campaign. As far as we know, Jackson did not return to the Moore House again, but he left his name attached to the building and gave it extra historical significance which aided preservation efforts in the 20th Century. When you take the inside tour, the tour guide will tell you all about the artifacts, furniture, and preservation of the house. However, if you don’t have the opportunity to go inside, there’s still plenty to observe on the exterior. 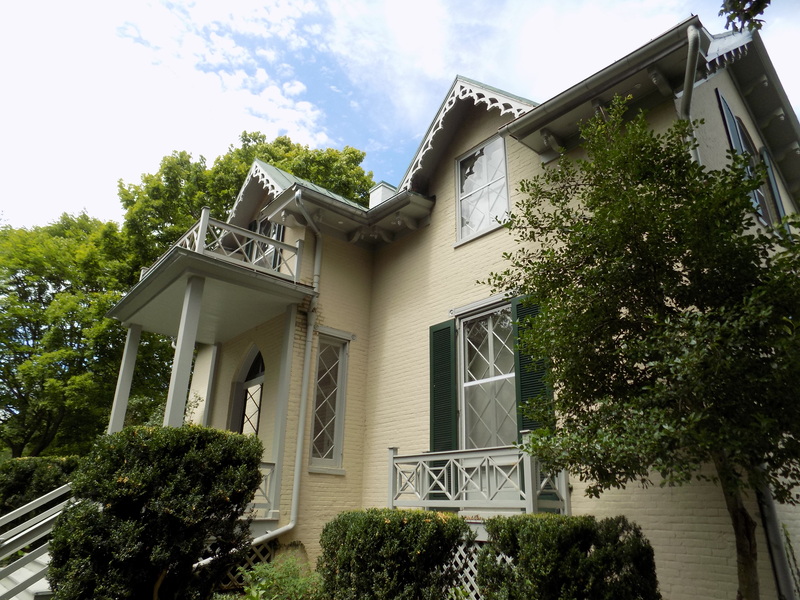 The house was constructed in 1854 by Mr. William Fuller on the original five acre lot. At that time, the house and property stood outside of the town of Winchester “in the country,” overlooking the growing city. Constructed in Hudson River Gothic style of architecture, the cottage home was purchased by bachelor Lewis T. Moore. Approaching the house from the modern street means seeing the building from the side. Walk around the left to study the front of the cottage. Try to image when open land stretched in front of the house, an area where horses and couriers would have been coming and going when Jackson had his headquarters here. 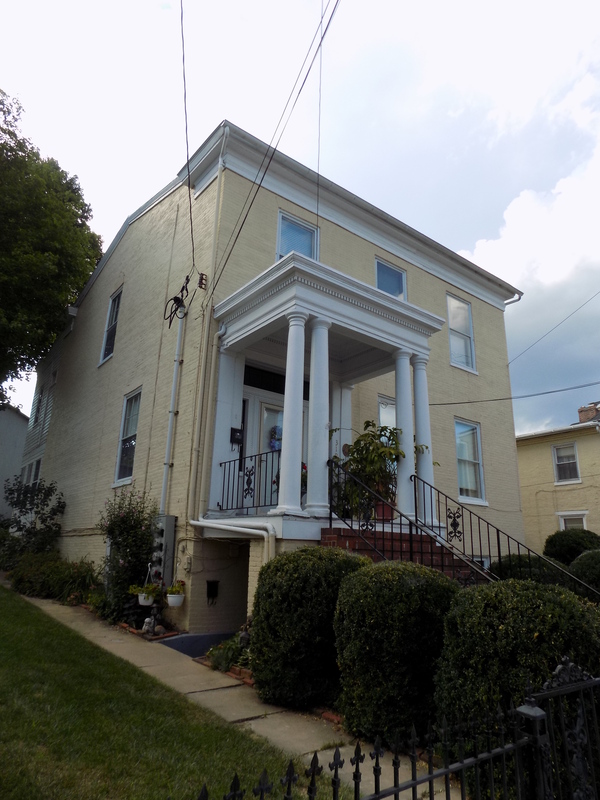 If you head south on Braddock Street, notice the home located at 319 N. Braddock. During the Civil War, Reverend and Mrs. Graham lived here with their children. 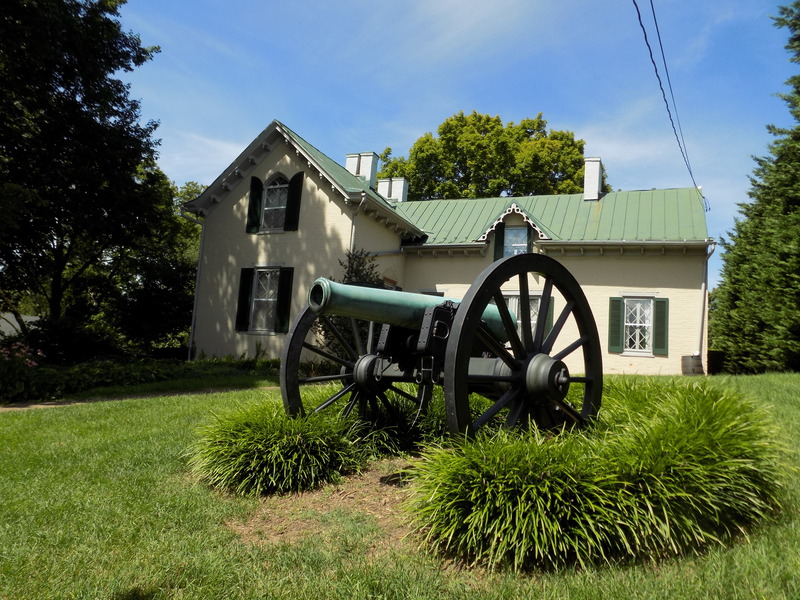 General Jackson’s wife – Mary Anna – stayed the winter here. Originally, she had intended to live at the Moore House, but she soon found that all the men and busyness at the military headquarters did not agree with her and it was difficult to find uninterrupted visiting time with her husband. The Grahams offered a room to Mrs. Jackson, allowing her stay with them and creating a welcoming, home atmosphere for the general to enjoy when his military duties were finished. Mrs. Jackson became very good friends with the Grahams and other civilians in Winchester, corresponding with them after she left in March 1862. The home is owned privately and is not open for tours. Do you have a favorite Civil War era site or home that’s not a battlefield? Thank you for sharing the article. It’s great to hear from you; I still remember your kindness in 2016 and showing me around the town and looking at sources in the library. I didn’t have your email in my address book and wasn’t sure where to send a note since the last time we had spoken you were taking a break from the library whose address I had used previously. Will be in the Valley in May for the release of my new nonfiction book on the Battle of New Market. Not sure if I’ll be down in Winchester, but will send an email if I’ll be there.